When considering strategies for managing change, it is sobering to realise that so many change initiatives fail to realise the intended benefits - and many just simply fail! "...there is nothing more difficult to arrange, more doubtful of success... than initiating a new order of things." This pages lists a cross section of material that I have found to be useful. Each of these have further references and links to additional useful material. Here are some powerful questions to ask yourself during the planning process before you launch into your initiative. There is a big gap between these two things and bridging it is absolutely vital in order to realise the intended benefits of your change initiative. But so often this gap is not recognised. So often I see organisations attempting to move straight from strategic vision exercises - mission statements and the setting of strategic objectives into the detail of a project level implementation. 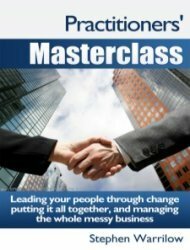 In my experience of practical strategies for managing change, and based on my studies and research, I have identified 8 themes that need to be considered and addressed in order to maximise your chances of success with a change initiative. - Using a programme management based methodology that takes the wider view and addresses all of those areas that so often get overlooked and thus become a contributory cause of failure. - Turning the vision and the strategy into the sequence of steps required to make it happen. I have listed them above in summary form, now I will take each in turn and cross reference to the key related material on this site. 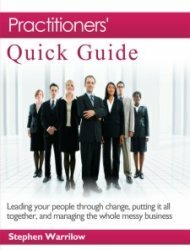 To build the business case for change you first need to be clear about the forces and influences that are impacting your organisation. 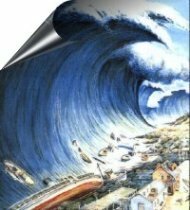 Force field analysis which is the creation of the American social psychologist Kurt Lewin, provides useful a practical tool for assessing the case for change. The single biggest and most important early decision that you will make, is to decide whether the change can be handled within the context of business as usual or not. The “Business As Usual” test - Incremental or Step Change? The size of your organisation (number of employees or people directly involved) together with your knowledge base will determine what resources to consider to implement your strategies for managing change. 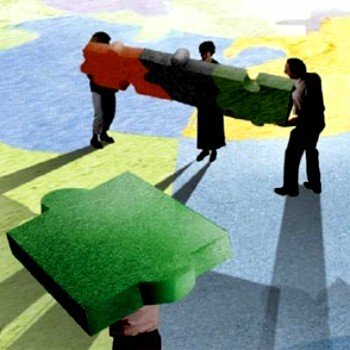 Leadership versus management - Is change just about the management or, does it involve leadership? If so, what's the difference? Define leadership - How you define and exercise leadership in the present climate will be a significant determinant in your organisation's fortunes and is thus a key aspect of your strategies for managing change. What are the leadership styles that are most effective in leading change and especially in the current environment? How do you provide inspirational motivation to your people in hard times? What are the effects of your business culture on change management? Organisational culture - is more important than you may realise. It determines how your people will respond to a change initiative. The amount of time allocated to the pre-programme review and planning process is variable - the size of the proposed change and how business critical it is, are useful guidelines. Of all change management methodologies, at the macro level, the programme management based approach to change management is the one most likely to ensure a sucessful outcome. A programme management based approach has as it goal, the achievement and realisation of the intended business benefits. In my view, this is a very big shift in emphasis from the usual project management approach which stops short with the delivery of the capability and does not address what has to happen for the benefits to materialise. 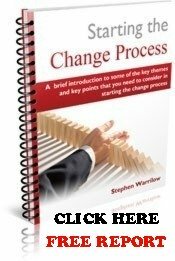 Managing change in the workplace is all about working out the detailed action steps and communicating and managing the process of implementing and integrating those steps as part of the new way of doing things. "Proper preparation and planning", leads to good results and the converse is equally true! 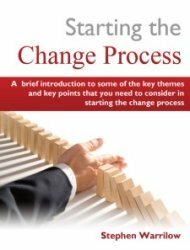 You will find many Resources in this site - plus many Free downloads of all key strategies for managing change. Also, throughout this site you will find that there are many external links to quality information re all aspects related to strategies for managing change, all of which I have checked out personally all of which I have checked out personally, and which I trust you will find beneficial. 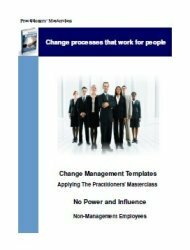 Please do make use of the How to manage change in practise section to raise questions re change management tools, or to seek clarification or to add your own perspective or experience.